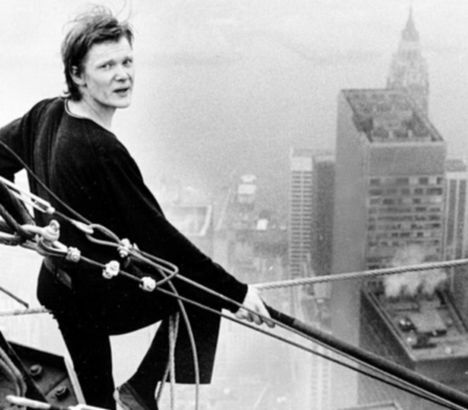 We all live our lives on a tightrope in some sense, but Philippe Petit literally did when he step out on that wire, spanning the distance between the Wold Trade Centers. This documentary will take your breath away. I can't imagain being in the same position as Philippe's friends. Do you incourage your friend to live their dream when it could most likely mean death? you can find this movie on netflix instant play.